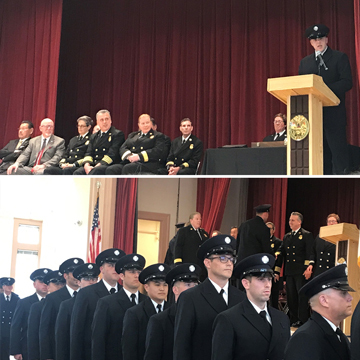 Congratulations to all 36 graduates of San Francisco Fire Department’s 13th H3-L1 Emergency Medical Services Class! We’re inspired by your dedication to our community and it’s an honor to celebrate your success. The graduation ceremony took place on March 9th, 2018 at the John Adams Community College in San Francisco.